Αs a blogger, SEO Audit is a most important part of the website, Blog. If you want to audit your website, blog, It takes time and resources to work day in and day out. For SEO Audit, I always seek for the best SEO Audit Tools that make the auditing work much easier. A lot of SEO Audit Tools are now available in the market that makes the work of SEO Audit much easier. In Auditor tools, you don’t need to spend much time doing manual checks on every page. Through SEO Audit tools, You can easily identify the problems with your website. If you searching best SEO audit tools for your website, blog auditing, You don’t need to waste your time. 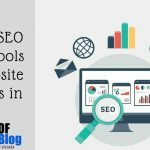 Here are my top 10 SEO Audit Tools for Website Analysis in 2017.